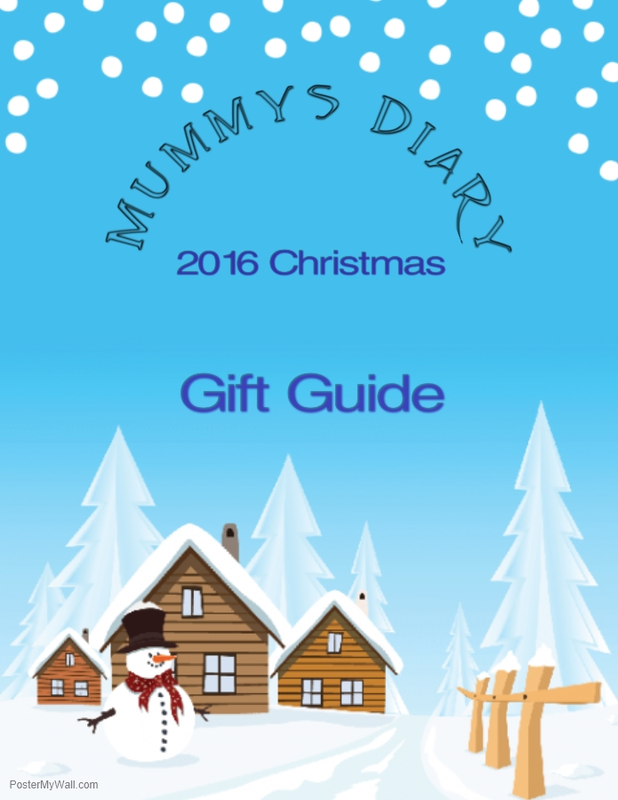 Welcome to my 2016 Christmas Gift Guide! Here are my thoughts on some of this years greatest gifts to give! Click on each link to read the full review. Enjoy and have a Merry Christmas! Aquabeads area a fun and safe product for children to enjoy hours of creative fun! Aquabeads is perfect for children aged 4 years and up. They are unique beads that bind together with water. 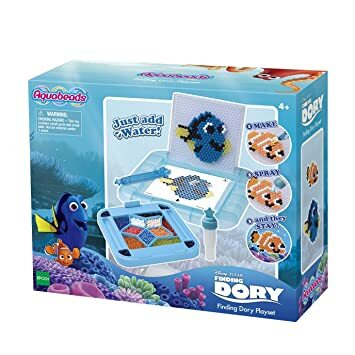 Included in the Finding Dory set (RR) £19.99) are the picture cards of the different characters as well as the plastic holders to keep them in place. You can create your very own Dory, Nemo, Marlin or Hank. Read more click the link above. The Secret Island Playhouse (RRP £29.99) is the perfect getaway for all of your Sylvanian Families, whisk them away for a fun filled adventure down at the beach, where they can relax and have fun. This set is made up of two parts the house and the beach, both can be played with as separate pieces or they can be stacked together and used as one. 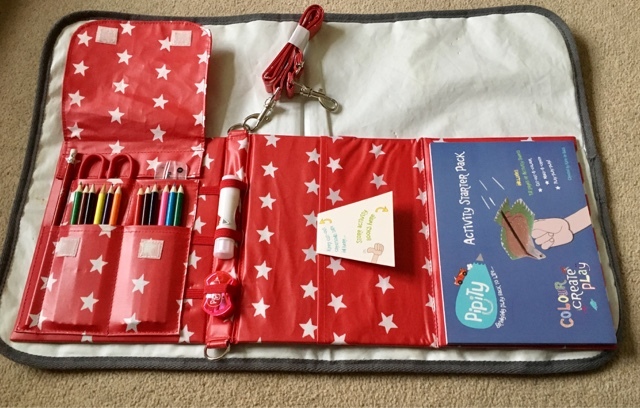 Pipity Activity Cases (RRP £24.99) has already won a number of awards including, Right Start Best Toy Award 2016 in their arts and crafts category, Loved by Parents Gold Award 2016 in their best stimulative toy category and Junior Design Silver Award 2016 in their best travel product category. Read more click the link above. 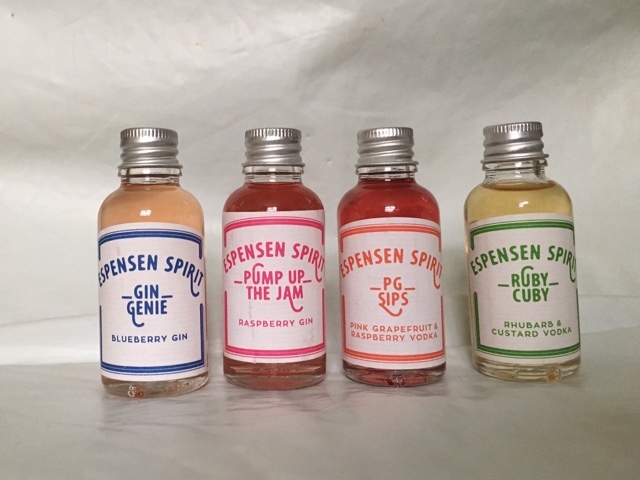 Espensen Spirit (RRP from £3.25) produce a fantastic range of flavoured vodkas, gins and whiskies that make fantastic and highly unusual Christmas gifts for all kinds of people (over 18years old!). · Pump Up the Jam – Raspberry Gin – this drink goes down equally well with gin lovers or those who just fall in love with the label – it features an 80’s B-boy and a homage to the artist Keith Haring. For anyone who wants to score cool points with their younger relatives, this is the one. Read more click the link above. 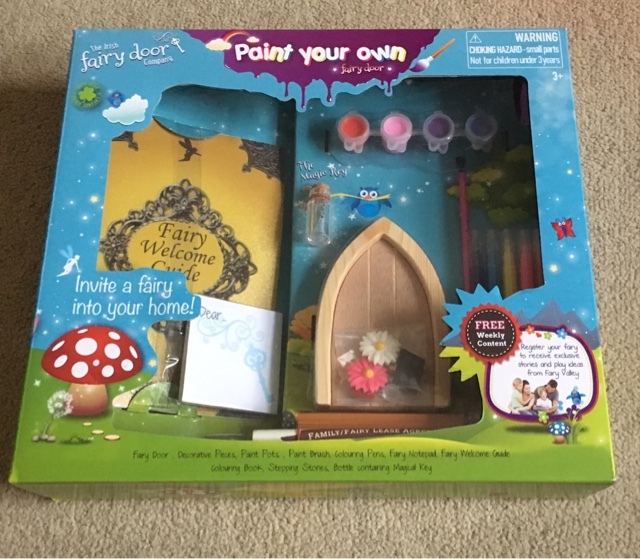 Thanks to The Irish Fairy Door Company who sent us a Paint Your Own Fairy Door (RRP £20) we were able to create an enchanted door to bring the fairies to life. Inside the box you will find a magic key in a bottle, three stepping stones, the family/fairy lease agreement (this is super cute! ), a notepad so you can write to your fairy as well as the fairy welcome guide, and your door, paints and pens as well as stickers. Read more click the link above. 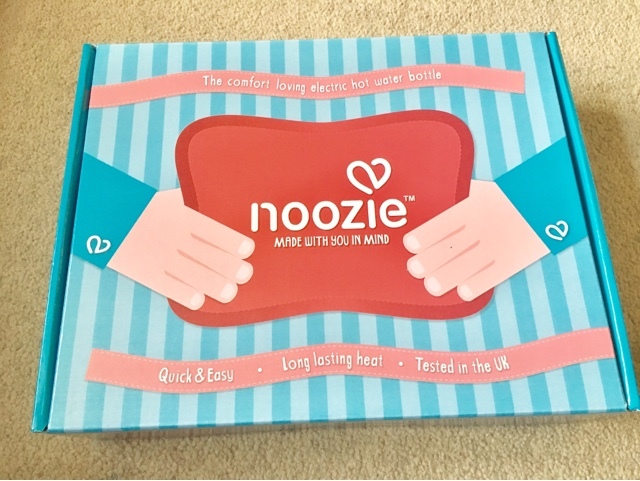 The Noozie® Electric Hot Water Bottle (RRP £34.95) is the safe and fast way to enjoy cosy heat without any contact with boiling water or kettles. It is a pre-filled cuddly fleece heat pad which, once charged, can stay warm for up to 6 hours (2-4 hours or up to 6 hours in bed). Read more click the link above. The Dinosaur DNA Kit RRP £14.99 is a fantastic product for any future palaeontologists. It enables you to dig for fossils! 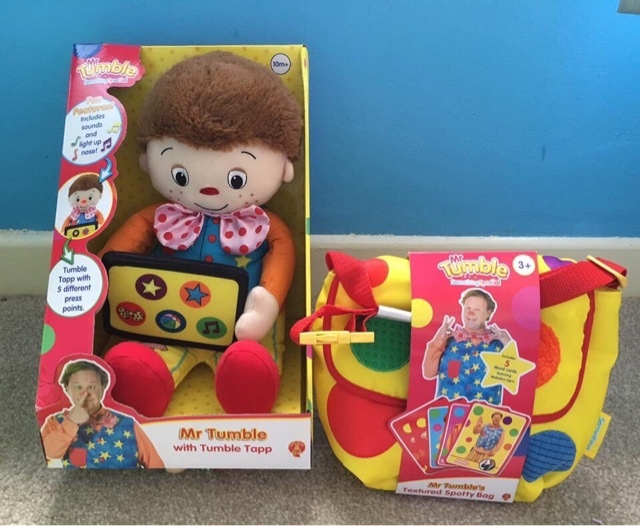 Mr Tumble is one of the UK’s most recognisable and loved children’s characters, and Golden Bear have once again created a lie of Mr Tumble toys that certainly are Something Special! The newly refreshed toy collection focuses on the core values of the much loved show and features five key learning elements to encourage Touch, Sound recognition, Light, Texture and Dexterity.